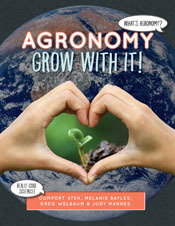 Agronomy - Grow With It!, written for the 5-8 grade level, explains the science behind the food we eat. Learn more and purchase! Agronomy4me.org launches to provide information and educational resources to teachers and students on the science and application of agronomy. Let us know what you think! Visit our Agronomy @ Work pages to read about real-life adventures of agronomists in action – and view videos of them in the field and lab! Check out info that's just 4 u! 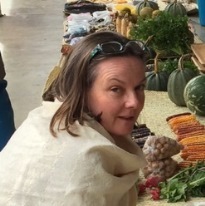 If you have a natural curiosity and enthusiasm for science to help solve some of the toughest problems facing humanity and want to be part of the efforts to increase the supply of high-quality food, feed, fiber, fuel and even pharmaceuticals while protecting and preserving the environment – agronomy may be the career for you! Developed for students in the middle grades, their teachers, parents, and mentors, Agronomy—Grow with It! presents profiles of agronomists and their work as opportunities to explore the practices, crosscutting concepts, and disciplinary core ideas that are the foundation of the Next Generation Science Standards.